We decided to attempt the Four Falls walk in waterfall country, near Ystradfellte, Wales. 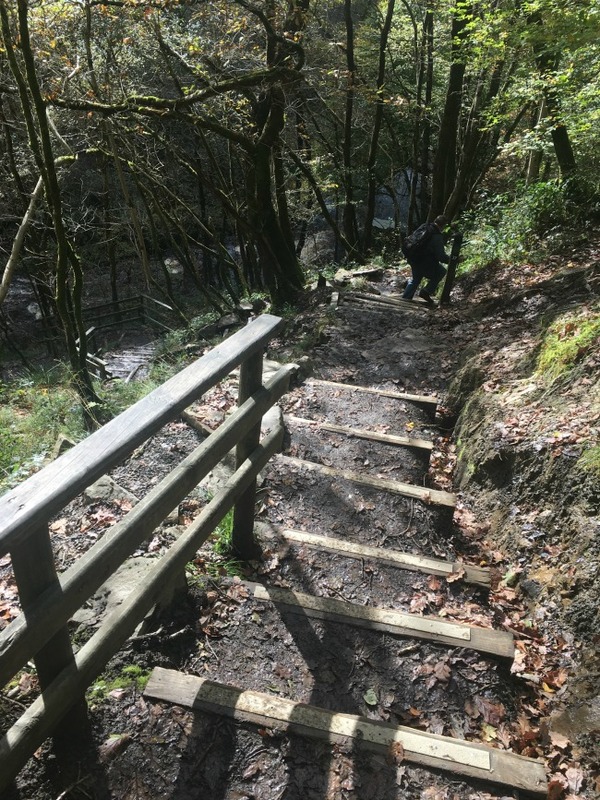 We have done it before, many years ago when the children were small, and my over riding memories were that it was a long hard slog there and back, with hundreds of steps down to the waterfalls. We thought we wouldn't overdo it by doing it all at once so did two walks a few days apart, each taking in one waterfall. 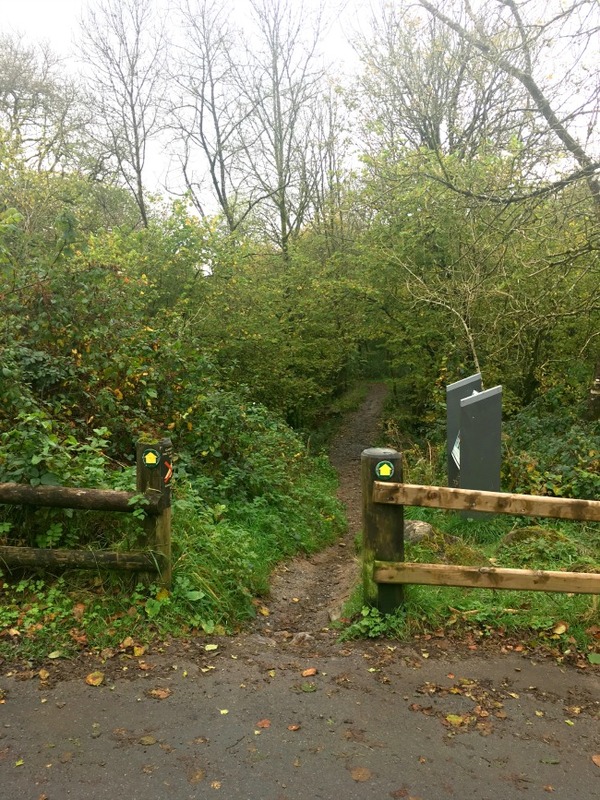 Both walks are not for the faint hearted and require decent walking boots although we did see a supervised group of children doing it in wellies. It is perfectly possible to do the route in one visit, we just couldn't do all the steps down and back up in one go. 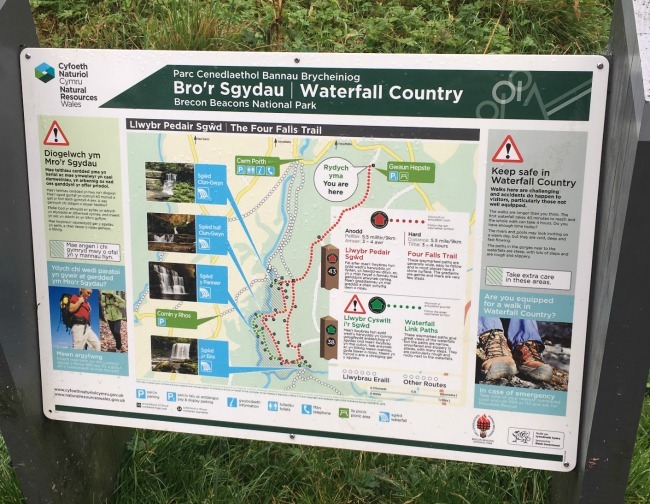 There are information boards in the car parks and at each waterfall. 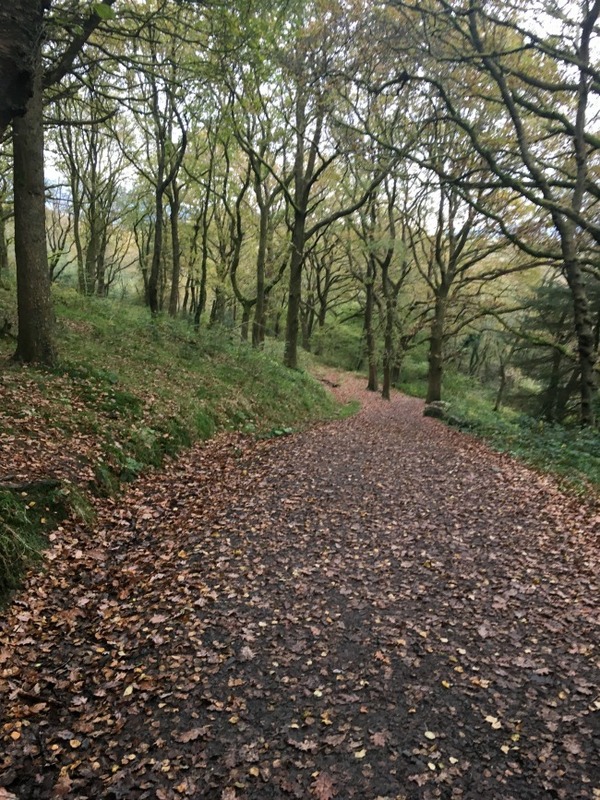 They describe the walks as strenuous and warn about the steep drops and uneven paths along the way. Although this is true the group of children (probably aged about 8 or 9) managed it. 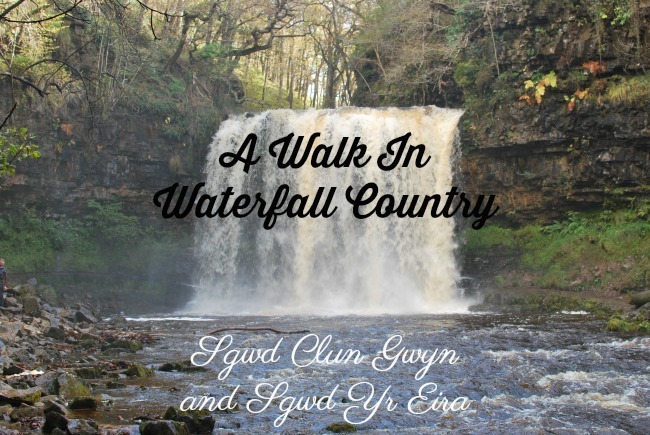 Even if they did complain all the way up from Sgwd Yr Eira! Parking costs £4 for cars all day and the tickets are transferrable between carparks. 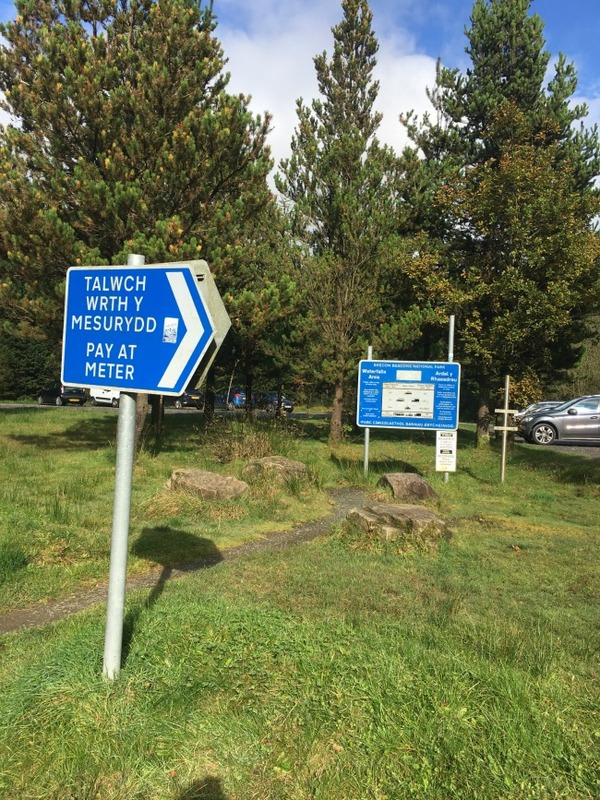 The first car park we visited, Gwaun Hepste has no facilities and is not supervised. 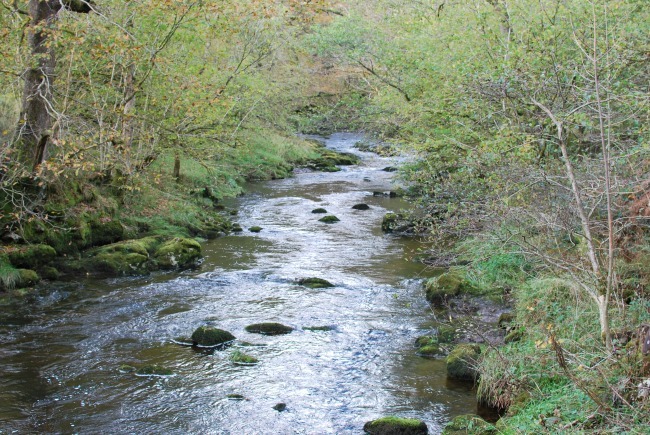 Cwm Porth, our second visit, has a little shop, toilets and is supervised every day of the year except Christmas day. The warden warned us of parking in Gwaun Hepste saying that in the past they had problems with thefts from cars, although we saw no evidence of this (broken glass) on our visit. Cwm Porth car park is over one of the largest caves in Wales, we didn't visit this time but it is possible to walk inside. 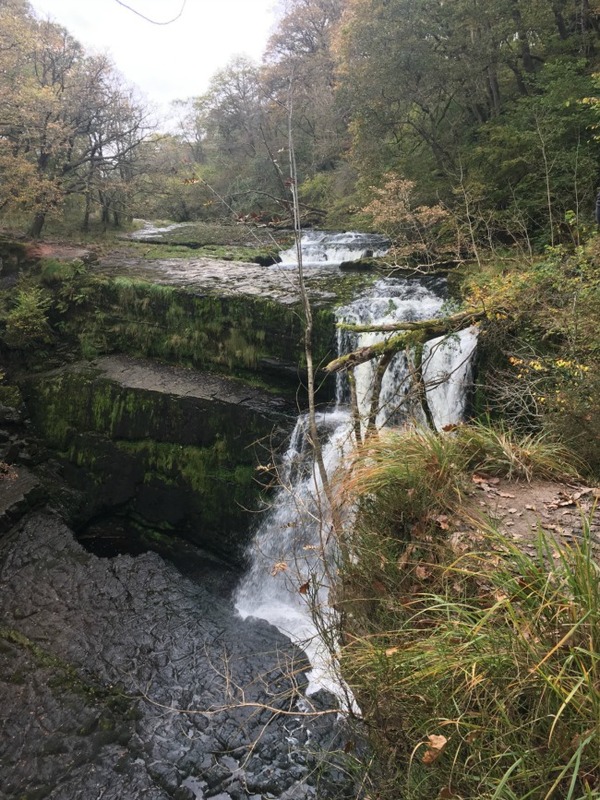 Sgwd Yr Eira is a famous waterfall that it is possible to walk behind and definitely worth the steps down, and back up. 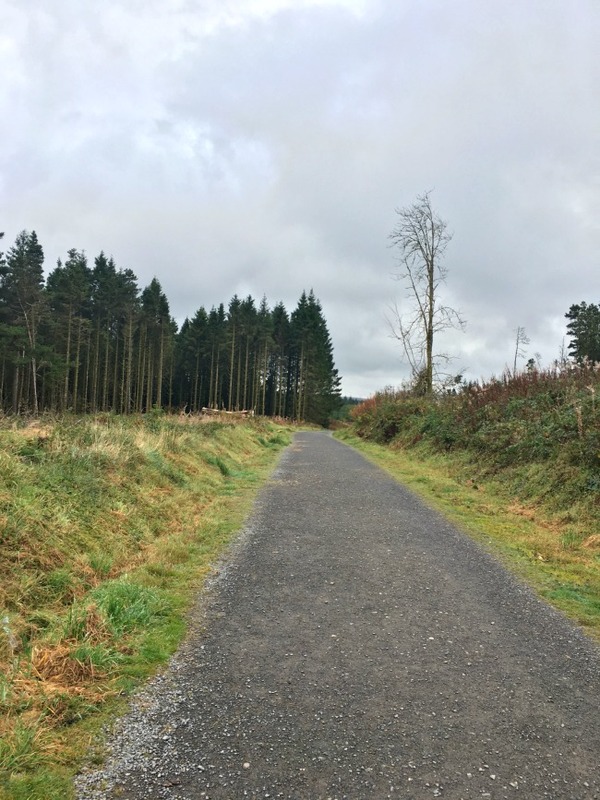 This walk starts really easily along a forest track but does have a lot of very steep paths that once walked down, have to be walked up again on the route back. It is really well sign posted and each sign gives a rough idea of walking time to the next fall. We found they were accurate for us, we stopped to admire the views and to identify fungi so timing is for a stroll rather than a rush. The information board at Gwaun Hepste describes the walk as strenuous. It estimates 4.5 hours for the complete walk of 6 miles/9 km. 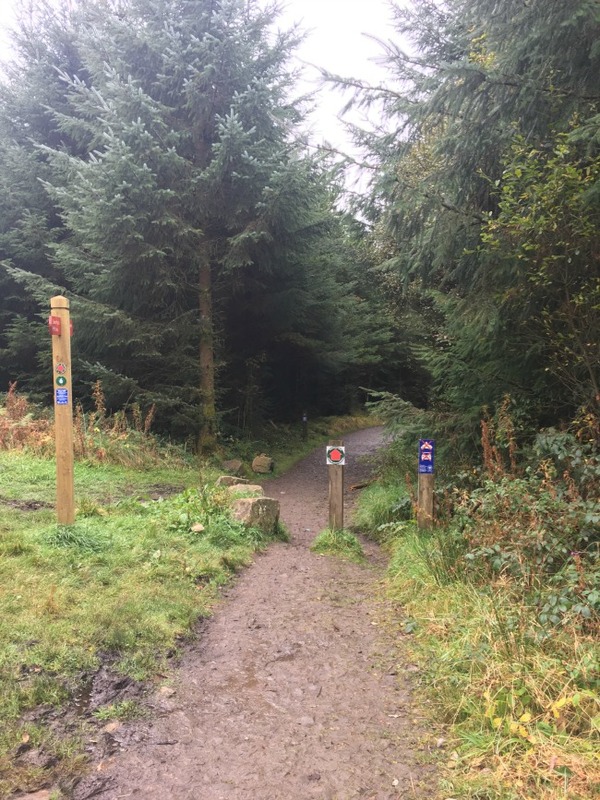 Please be aware that there is no phone signal on this route, if walking alone make sure someone knows where you are although we walked mid week and it was busy. The car park at Gwaun Hepste. 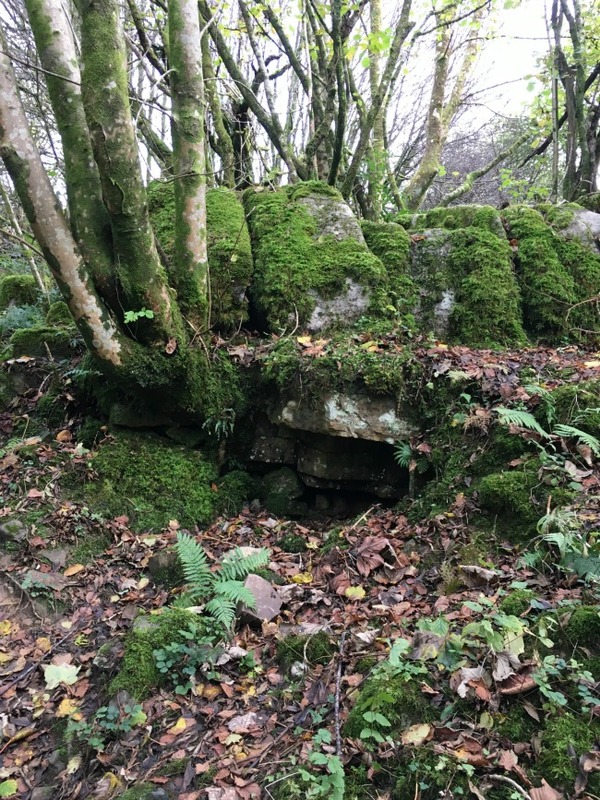 The path meanders through woodland and there are places with steep drops on one side. Is it worth it? Oh yes, we had lunch here with this view. The walk back is hard although we both found it easier than we expected and in many ways easier than going down. 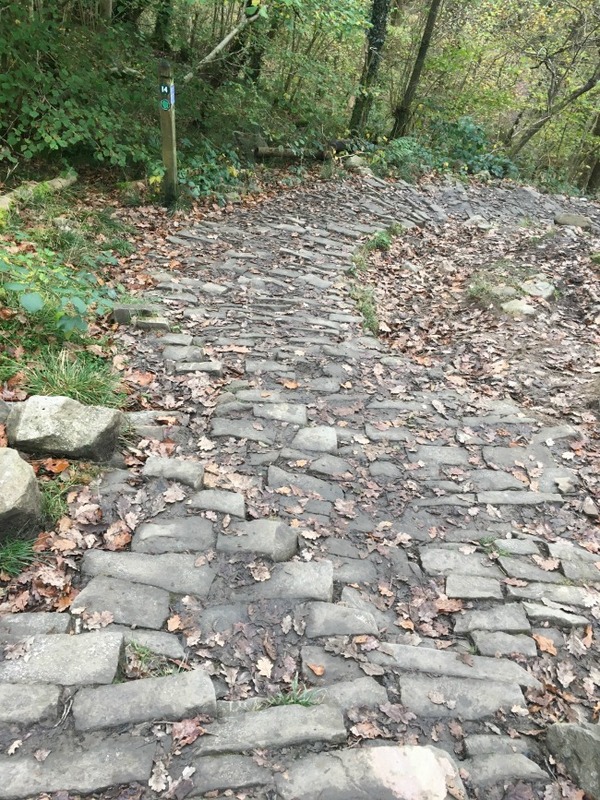 The mud and incline made descending quite tricky in places. We met lots of people along the way, from young couples to groups of older people, all looking hot and a little bit tired! We did it though and felt a huge sense of achievement. 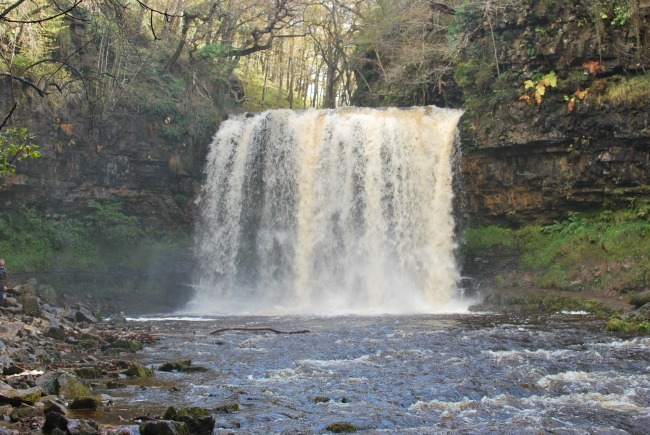 It made us want to come back and walk to Sgwd Yr Eira from the Cwm Porth car park as we had heard the route was easier. 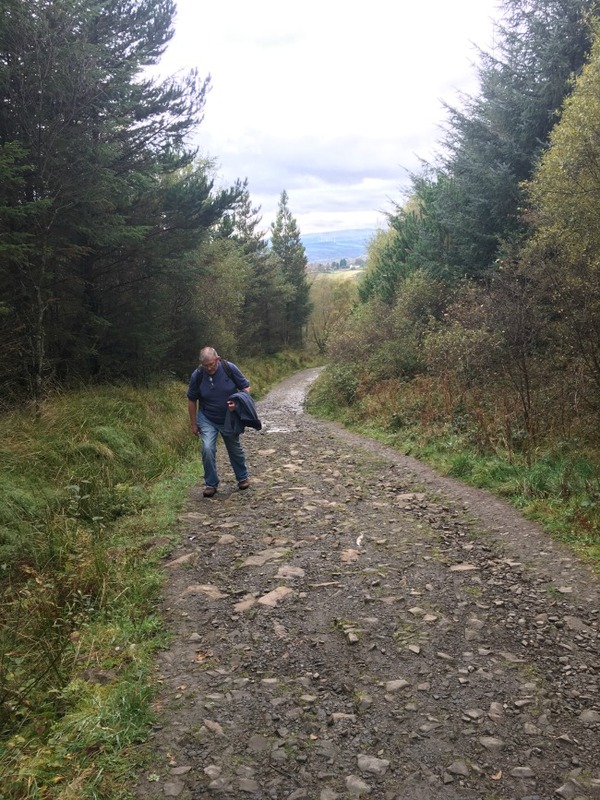 It's a long way back up hill! 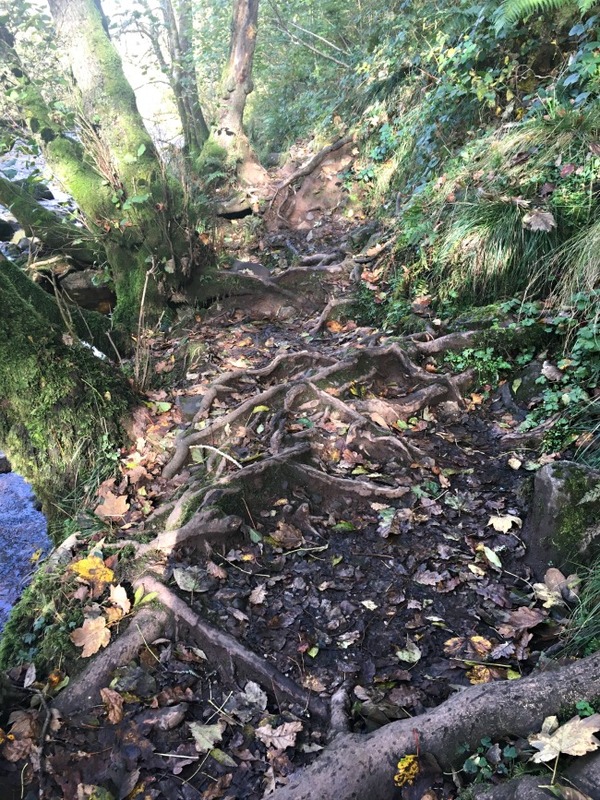 There are two routes, one along a track, which is as described above and another along the river which is muddy and has many obstacles including fallen trees and tree roots. We walked to the falls along the track and then back along the river. Just a couple of yards up the road is this track, it is so much easier to walk than the riverside one. 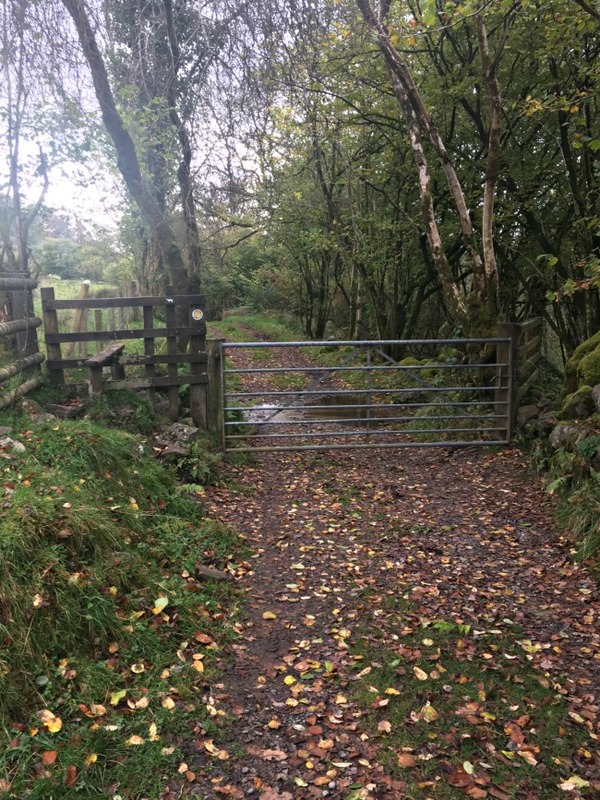 The paths are muddy, some with little streams running across and there are a few styles and gates to negotiate. 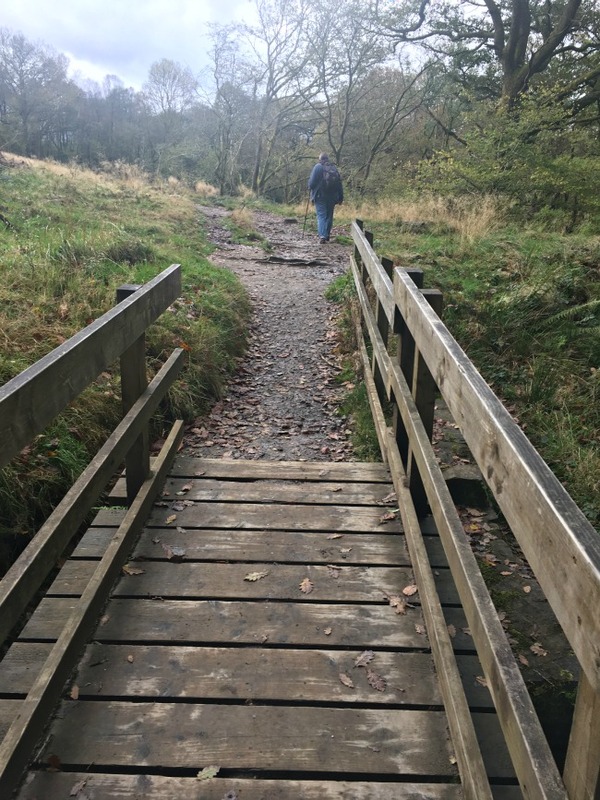 One place has a lovely wooden bridge over a stream but every where else requires walking down, crossing carefully and walking back up again. Eventually we reached the 90+ steps down to Sgwd Yr Eira. Some of the steps are huge! I could only just get back up them. It was worth it, Sgwd Yr Eira is beautiful and if you don't mind geitting wet you can walk behind it. 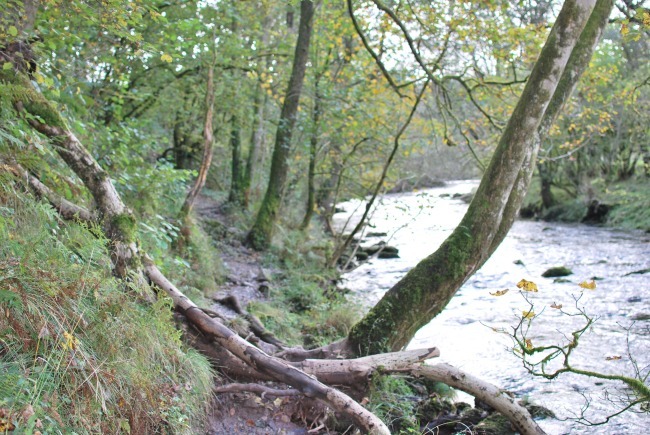 The path back along the riverside is muddy and full of tree roots, it is a much slower route but has beautiful views of the river. A few branches across the path, this is a common obstacle on this route. 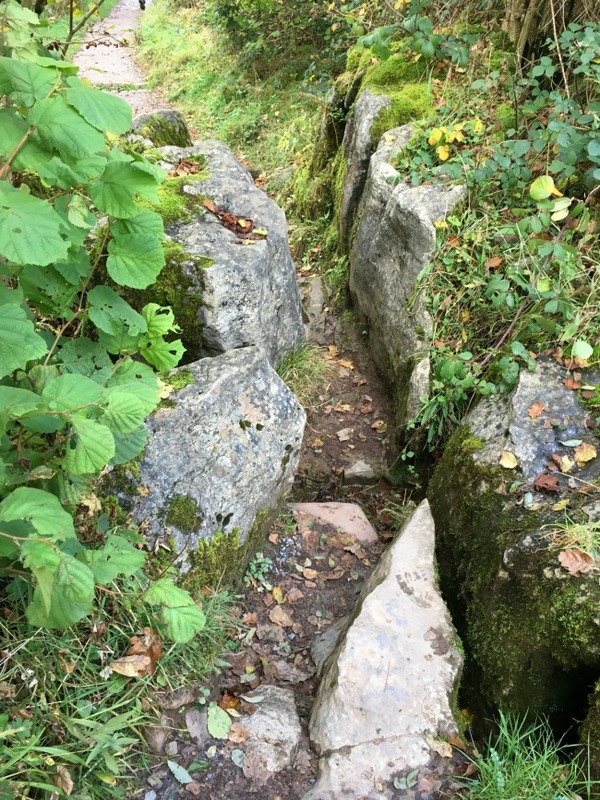 I loved this part of the path, a small gap between large rocks. We really enjoyed this walk but it is hard on the thighs and knees due to all the steps down to the waterfalls. There are two more falls which require another diversion but we decided against them this visit. We have been before in the summer and although the falls are not so spectacular it is easier underfoot. 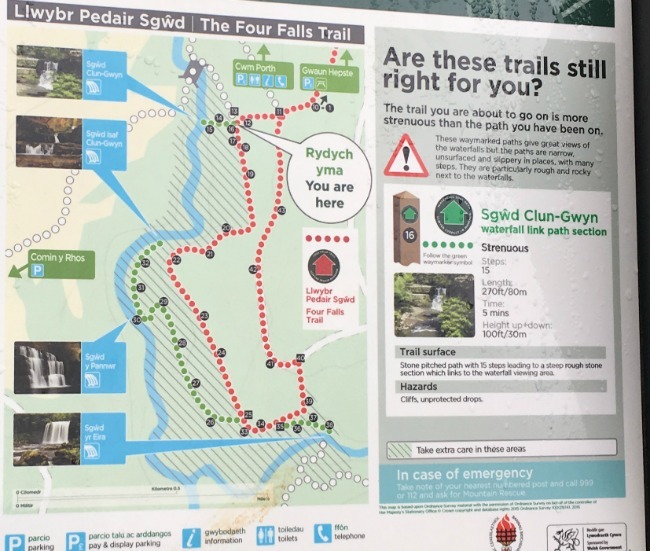 It is usually a circular route from Sgwd Clun Gwyn, via the other waterfalls then at Sgwd Yr Eira return along a gentler forest track but the forestry had been felling and there were warnings that the heavy machinery had caused deep muddy ruts and was unsuitable for walkers. Going by how muddy the open paths were we didn't want to ignore the warnings. 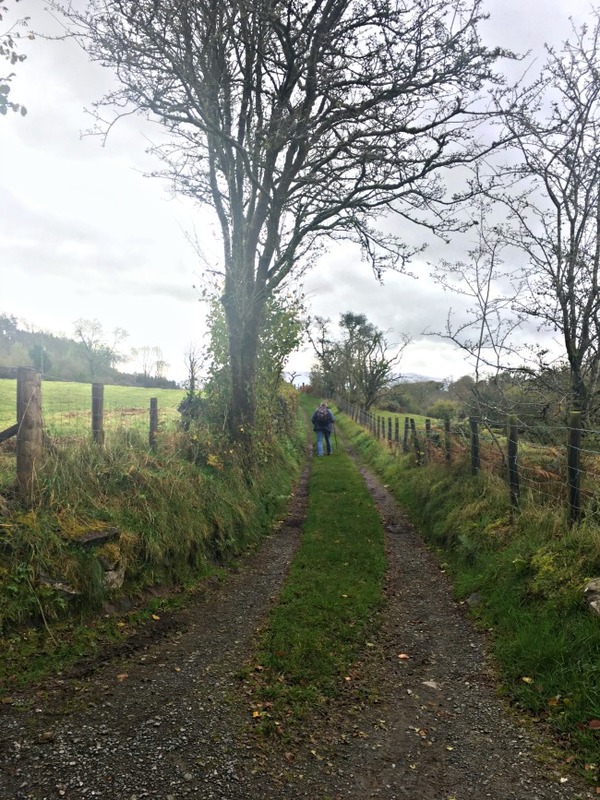 Until they reinstate the paths this is a linear walk, returning the way we came. 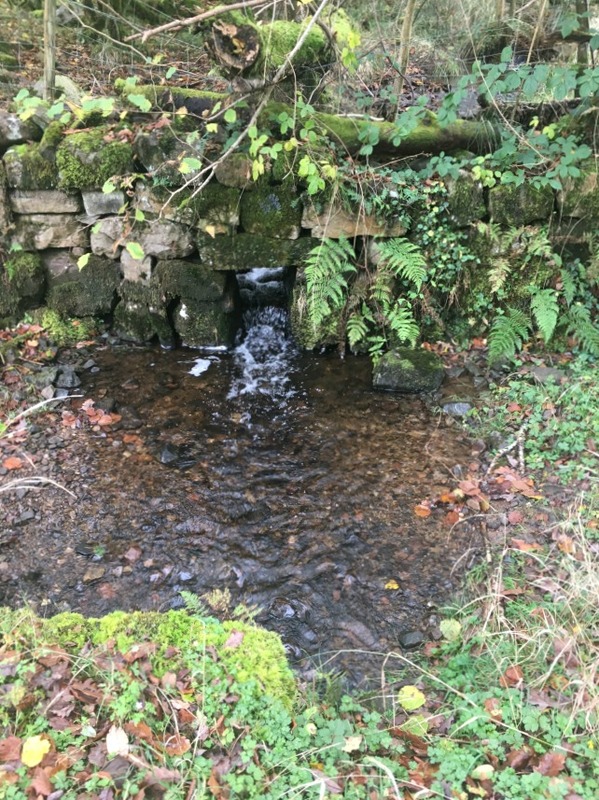 I did this walk as a child, I had forgotten how strenuous it is because it was so exciting to walk behind the waterfall!